This auction is for a ONE (1) 2014 Mazda 6 Grand Touring 19" OEM genuine factory wheel NOT REPLICA with Toyo Proxes 225/45r19 tire. 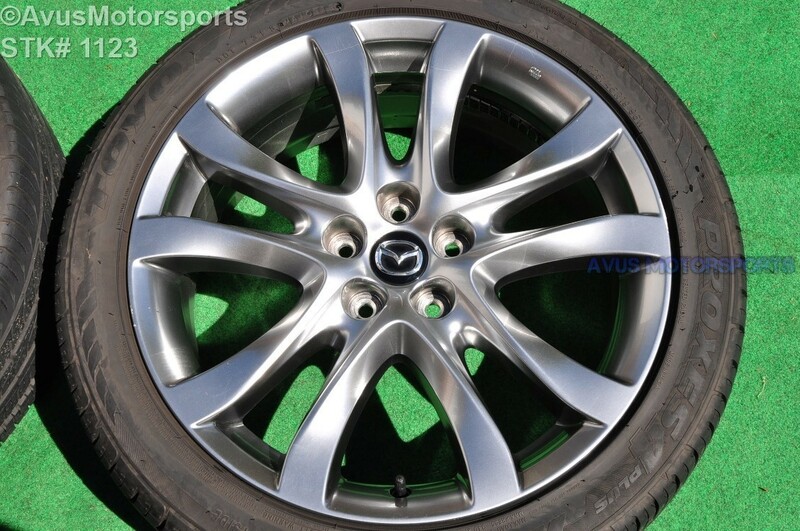 This wheel and tire was taken off 2014 Mazda 6 Grand Touring, they are in good condition, although there's some minor scratches (see pics), but NO BENDS OR CRACKS! . Please review all pics!